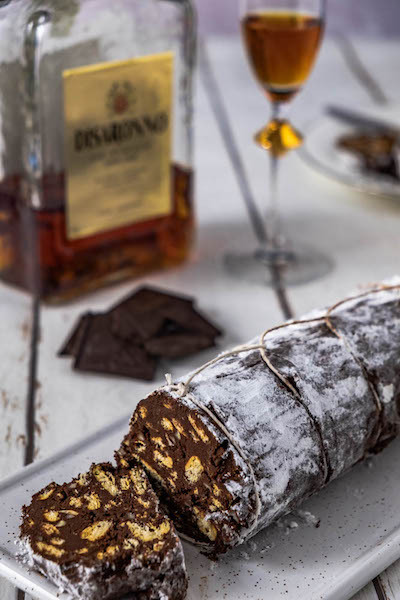 During the Easter in South Italy, there is a huge tradition of making savoury kind of bread which is usually eaten on Resurrection Sunday. People of Naples divide into two groups - Those who would eat Tortano Napoletano and those who make Casatiello. 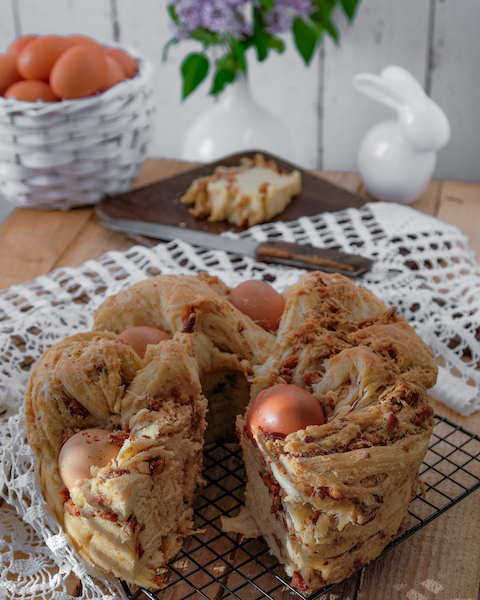 Here the Tortano Napoletano (with eggs decoration) recipe by Lydia Capasso and M.Teresia di Marco, two authors of the book "La Cucina di Napoli". This recipe is truly easy to make! Lets' do it! I love italian sweets above everything. But I do realize how much sugar is hiding inside. That's why although traditional italian cuisine is my favourite one, I need to be careful about how much of it I take in on regular basis. 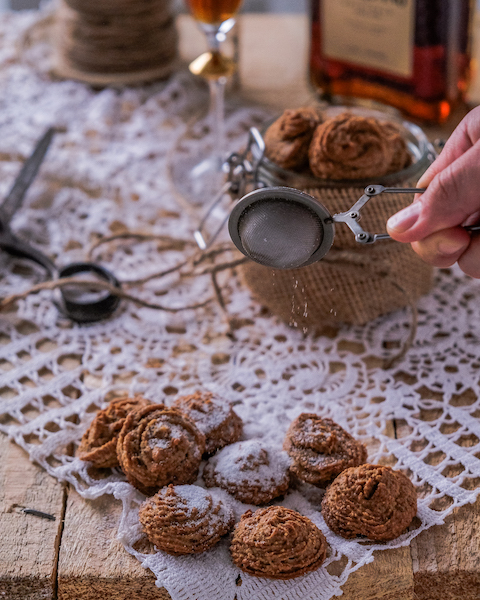 And I definitely cannot resist soft almond taste of these tiny amaretti biscuits sometimes. So here is my low sugar version. Let's get onto it! Arancina was probably born in Sicily. 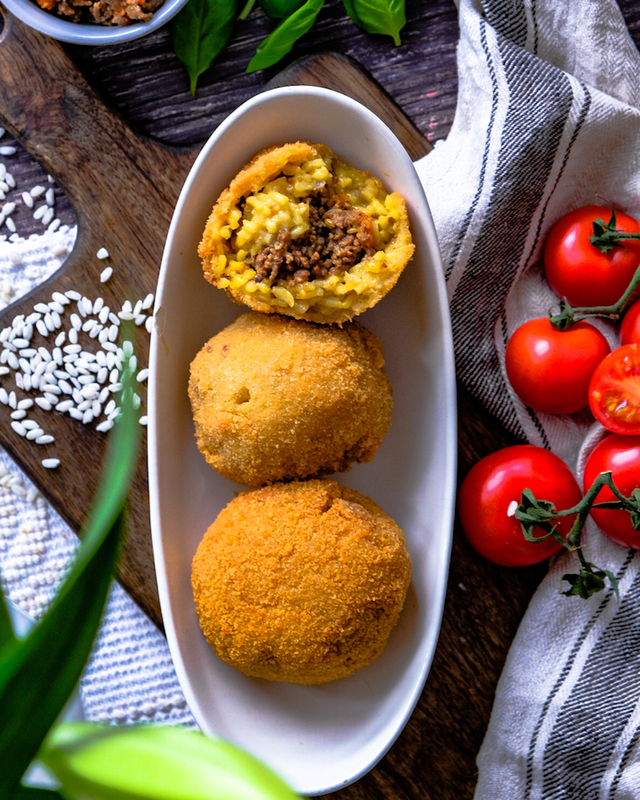 It is very popular street food in Palermo, and also in the south of Italy, Naples. That's where my today's recipe come from. "La Caprese di Zia Rita" is the original name of this recipe by Gino D'Acampo which inspired me. 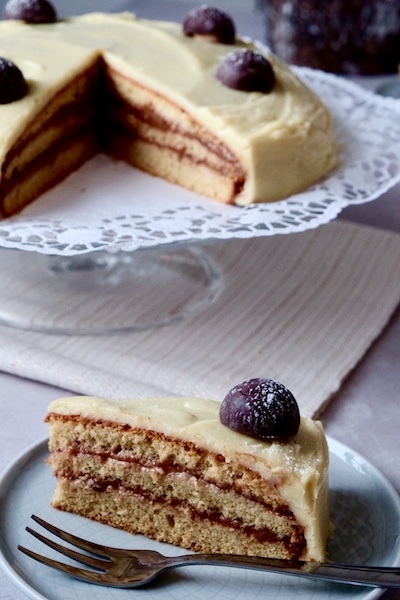 My version of this delicious dessert contains mascarpone cream which accompanies this cake very well . 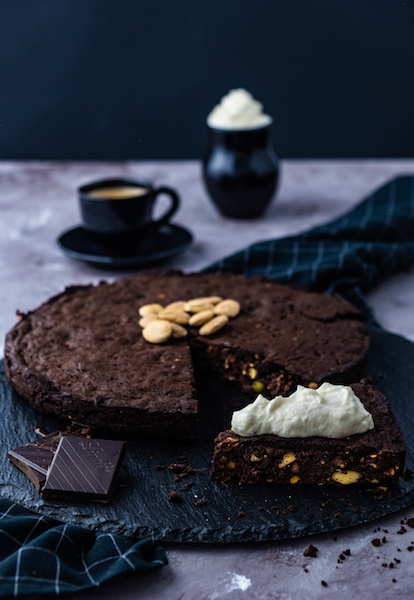 It is one of the easiest and the most chocolaty dessert I have ever made! This tart is also gluten free and contains low amount of sugar. Let's get onto it! This recipe is so traditional and yet very international - across Europe. Traditional slovak "pirohy" might be compared to typical italian "ravioli" (or stuffed savoury pie) and the sauerkraut, complementing this dish in my recipe, is very typical, rustic part of the cuisine in Hungary, Czech Republic, Austria and Poland too. Not difficult to prepare, very fulfilling and nutritious meal, is also known for its cheap ingredients. Flour, potatoes, egg, onions and butter. Simple and good! New year's 2019 resolutions? Not a problem! 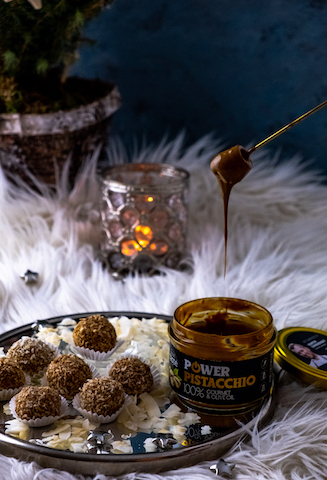 With these KETO low carb Raffaelo Balls with Pistacchio cream from My Powerlogy is easy peasy to stay fit in 2019 and enjoy pleasure of snacking with NO regrets! As it gets colder outside, I am getting hungrier. During cold days like these, I am usually craving for some traditional home-made food which would make me feel warm and satisfied. 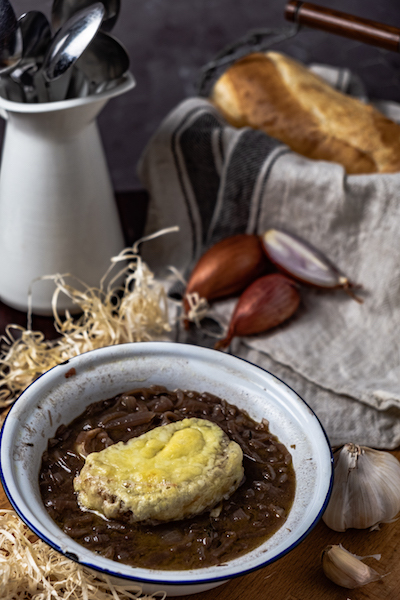 And because I love french cuisine so much, today I was cooking "Traditional French Onion Soup". Let´s get onto it. I have never tried cake with the plum jam! But to be honest, this one is pretty delicious! Let's get onto it! Fancy a porridge with fruity twist? 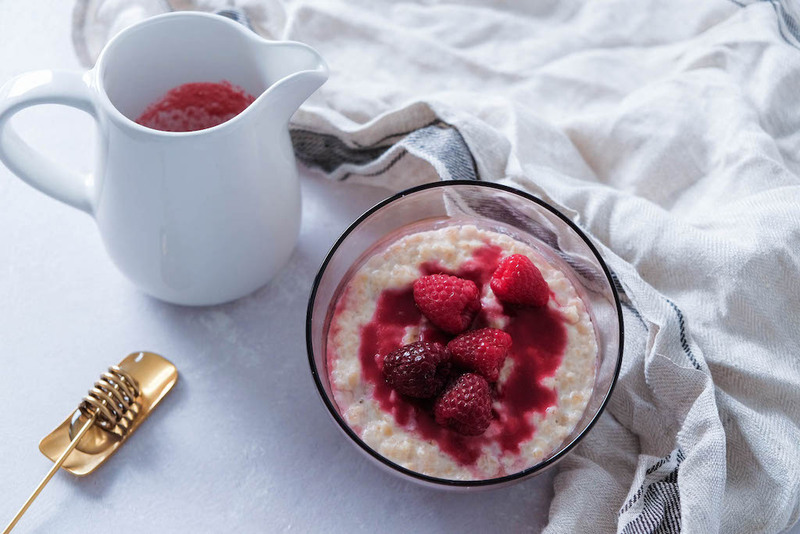 Let's try my traditional scottish porridge with raspberry coulis to beat the winter blues! Try it at home. It is simple to make!